Mama Nibbles: Seafood Dinner for Two ONLY $25 at Red Lobster! Seafood Dinner for Two ONLY $25 at Red Lobster! This is a review with no payment: Financial compensation was not received for this post. A gift card was gifted from Red Lobster so that I could sample this deal for myself. Opinions expressed here are my own. There are few foods in this world that my husband enjoys more than seafood. Every couple needs a date night here or there and I plan to make my date night special by taking my special man out for a delicious seafood dinner for two at Red Lobster. I don't have a lot of money to spend but there is good news for me yet. 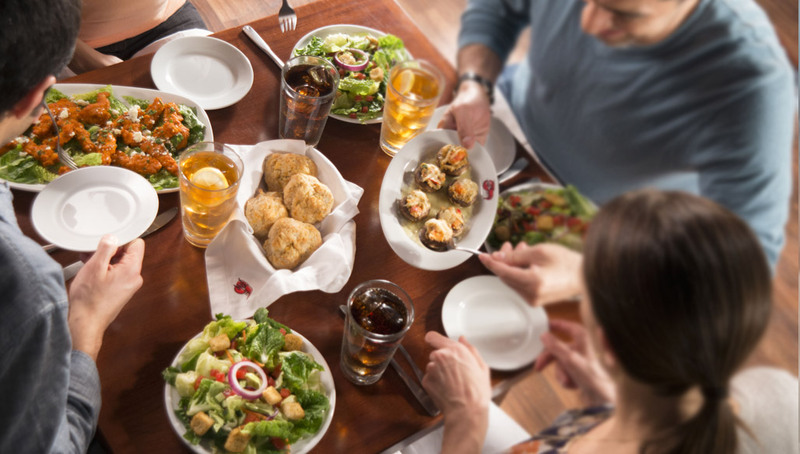 Red Lobster has a special deal going on where two people can dine for only *$25! The deal is going on until May 26th 2013. *Prices higher in Times Square and Hawaii. NEW Honey-Garlic Shrimp: Hand-battered shrimp fried to a golden brown, drizzled with a honey-garlic glaze and topped with green onions. Served over cilantro rice tossed with broccoli. Seafood Lovers Linguini: tender shrimp, bay scallops, mussels, roasted tomatoes and green onions in a white wine and lemon-garlic sauce over linguini. To round out our meal we will get to choose either a dessert or an appetizer. One dessert that makes my mouth water is Red Lobster's Pineapple Upside Down Cake! Oh I can barely wait to take my honey out for some good food. I'll be blogging all about our dinner experience with Red Lobster very soon so look for that post, it will be bursting with yummy photos. Be sure and Visit RedLobster.com for more information and connect with them on Facebook and Twitter.